What’s the Most Important Skill a French Teacher Needs to Have? A high school French teacher has been accused of not being able to speak the language he’s been teaching his students. Albert Moyer, said that the extent of his French education was just one year in high school, according to an investigation by KHOU 11. Moyer has been teaching at the Houston Independent School District’s Energy Institute High School, where one student said that the only word Moyer knows is ‘bonjour’. Moyer was hired to replace Jean Cius, a certified French teacher for more than 25 years. Cius was removed from the school after a dispute in December, according to KHOU 11. But student Nathanial White’s told the station that his teacher knows the word ‘bonjour’ and has to look up anyhting more complex on Google. Cius was later declared fit for duty, but the high school didn’t give him back his old job and instead he now works at another high school where he monitors the halls. ‘I feel so bad for the taxpayers because they’re paying me for not doing anything at all,’ he told KHOU 11. 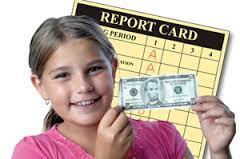 Click on the link to read Is it Appropriate to Bribe Your Students? What was Your #Best School Day? I didn’t have all that many happy school experiences, but I suppose being selected for the debating team was a big thrill. But the real best school days come about from initiatives like the one above. THE Andrews Labor Government is intent on raising the bar for teachers in Victoria. To say this is overdue is to put it mildly. It’s a no-brainer that if you put a thick teacher in front of kids, then they will not achieve. But that is exactly what happens. Moreover, the cost of necessary remediation because of dumb teaching is high. Yes, it is your tax dollars we are talking about. No matter. Teaching courses in Victoria set entry requirements for bottom feeders. I am in my fourth decade of being a secondary teacher and I have seen academic standards decline in teachers. To be blunt, they do not know enough about their subject. For me it’s not whether I agree with Sarah Haynes or not, but that I applaud her for speaking her mind. Too often the valedictory speeches given at high school graduations are heavily vetted, mushy and saccharine. It’s so refreshing to hear a young adult speak their mind, especially when their is resistance. It has been labelled the “stinky school”. A high school that is subjected to a pong so powerful that, according to one family, children have been unable to eat outside at lunchtime. A community consultation meeting last week was told that falling student numbers at Windsor High School have been blamed on the obnoxious odour that wafts across the area keeping windows at the school shut. Local resident Kim Smith from lobby group, Stop The Stink In Windsor, said the locals had suffered for far too long from the smell from the Elf Farm Supplies composting facility. The school did not returns calls from Fairfax Media. The Department of Education said it had not received any complaints about the smell. However, the member for Hawkesbury and Minister for Finance, Services and Property, Dominic Perrottet, is aware of the problem and said he is working closely with Elf Farm to help them get approval from the EPA to install new equipment to help alleviate the smells. Click on the link to read Would You Ever Want to Visit Your Old High School? Is it Appropriate to Bribe Your Students? I’m not entirely critical of a school that has the money to incentivise academic improvement among their student population. After all, at least they’re trying. Brandon Allen is determined to make sure senioritis doesn’t hit during his last year at John Glenn High School in Westland. So he has signed a contract that will pay him $200 per semester if he substantially improves his grades. “I heard that senioritis is a real thing. I figured that if I signed up for this program, it would keep me on track,” said Brandon of Westland. About 400 students at the nearly 1,800-student school have signed such contracts, modeled after a smaller program at nearby Wayne Memorial High School. Both schools are in the Wayne-Westland Community Schools district. The new program, called Champions of John Glenn, is funded primarily by a $50,000 donation from local businessman Glenn Shaw and his family. Shaw, who graduated from Wayne Memorial in 1961, lives in Canton, but Westland is still in his heart. “I just love this community. … We just know kids are going to do so much better,” he said. Nearly all of the teachers at the school — as well as other staff members such as custodians and the police liaison officer — have signed on to become mentors. So has the district superintendent. Some teachers have taken on entire classes of students.